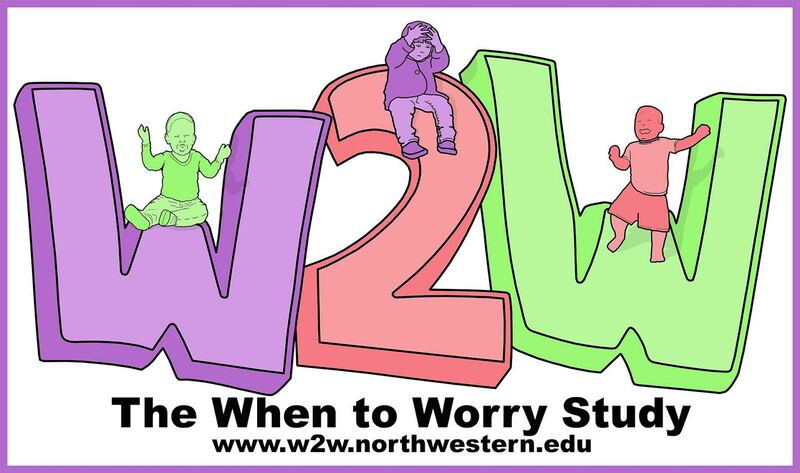 You will be receiving an email soon from us with a link to complete the survey portion of the When to Worry Study. If you do not see this email in your inbox, please check your spam folder. It will be sent from w2w@northwestern.edu. If you have not received it, please give us a call immediately so we can send it again. 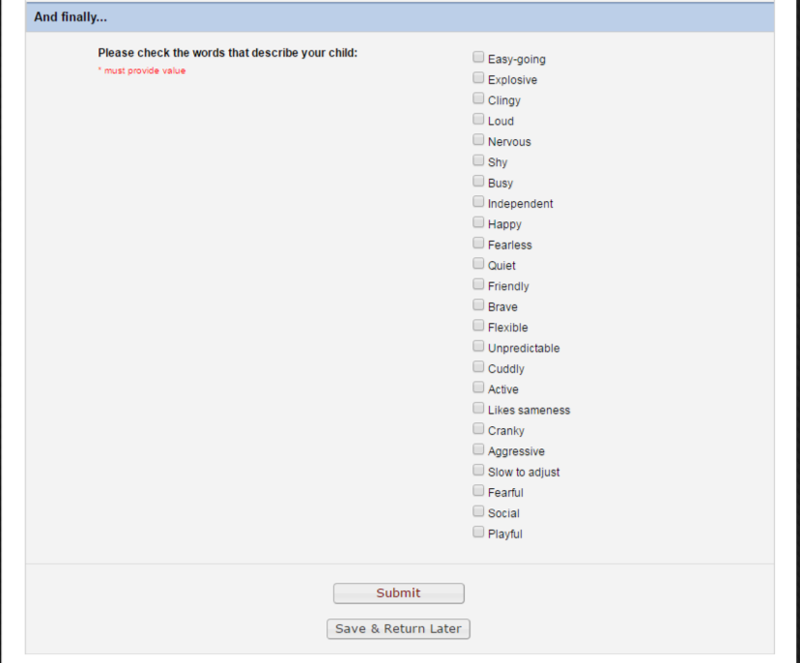 The first time you receive the link, you will be asked to type in your child’s name as your password for the surveys. If you do not complete all the surveys in one sitting, you will be asked to enter the password each time your access your surveys. After you click SUBMIT, you will be taken to the Survey Queue. This is a list of all the surveys that we are asking you to complete for our study. 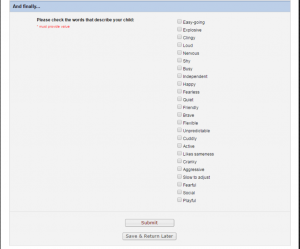 Please complete them in the order listed as some surveys you complete are based on answers in previous surveys. If you need to stop in the middle of a survey, please click SAVE AND RETURN. 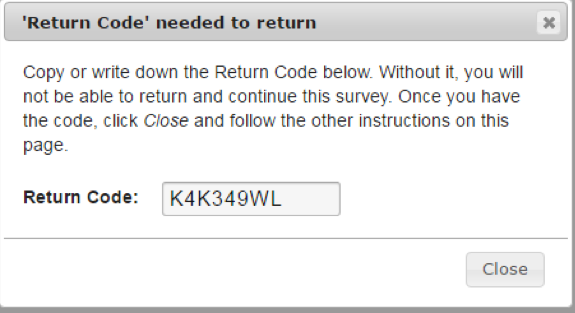 You will be given a return code so you can finish the rest of that survey. You will also be notified by email that a survey has been partially completed. 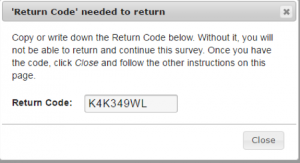 The link in the email will take you back to a page where you can enter the return code and finish the survey. 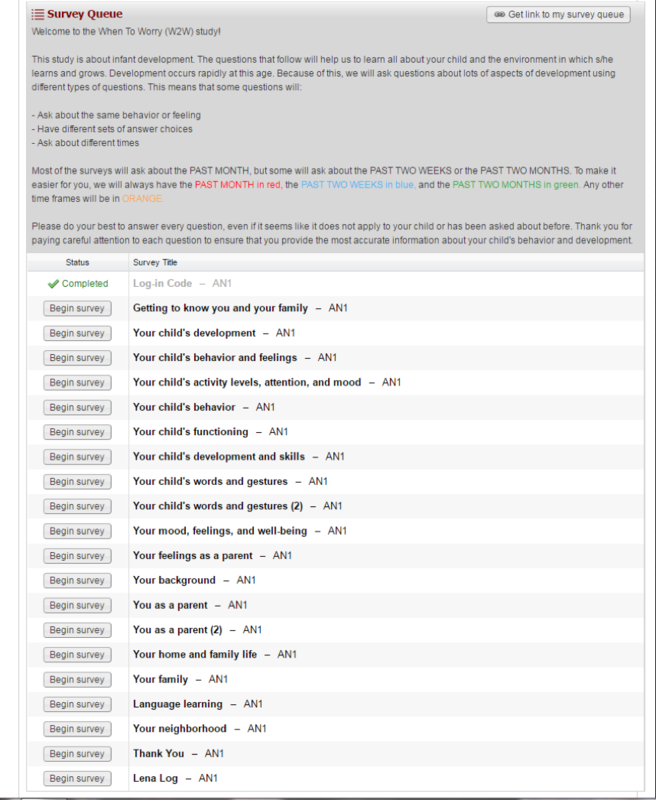 If you prefer, you can click START OVER to begin this particular survey from the beginning. 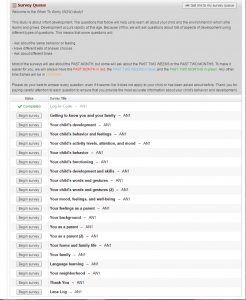 If you click SUBMIT before you have answered all the questions, you will get a pop-up window showing you which questions have yet to be answered. You are free to not answer any questions within any survey that you do not want to answer. When you skip a question, you will receive the above message stating that you have unanswered questions. Just click OKAY and then click SAVE AND RETURN. You will still get a return code and an email saying you have an unfinished survey but you can ignore these since you have chosen not to complete these specific questions. Please try to complete all the surveys as soon as possible. If you are unable to complete the surveys within the first 2 days of the original email link, you receive additional emails reminding you that you still have surveys to complete. You will be receiving surveys from us every 2 months. About 5 days before your surveys arrive, you will receive an email to update your contact information. We do this so we can make sure that we are sending our surveys to the correct email address. After updating your contact information, your survey link will arrive in a separate email. Please do not hesitate to contact us if you have any difficulty completing your surveys. If you are unable to complete the surveys online, we would be happy to mail you a copy of all surveys to your home.